Back in October, Wyze Labs showed that modern security cameras with smart features don’t have to cost between $100 and $200—its product cost a measly $20. Now, version 2 is here, and it packs a slew of improvements. You would probably expect this upgraded model to cost more, but no; the WyzeCam v2 is still just $20. The original camera boasts 1080p recording with infrared night vision, cloud and microSD storage, automatic recording when it detects movement, live-streaming, and a built-in speaker for 2-way audio with the accompanying app. It can even recognize noises like smoke alarms and send an alert. All those features remain in the new version, along with an improved CMOS sensor that’s said to produce crisper HD images. The Class-K audio power amplifier and new audio chip, meanwhile, help to reduce electromagnetic interference and improve sound quality. The new model also adds some AI smarts to the camera. With its new motion tagging technology, movement is color highlighted in live-stream and replay modes, so you no longer have to analyze a screen to find out what set off the motion sensor. Finally, version 2 replaces the glossy finish of its predecessor with a matt finish to reduce reflections. Engadget reports that a firmware update in March will allow the WyzeCam v2 to work with IFTTT applets and bring limited Alexa support, letting you watch live feeds on devices such as the Echo Show and Fire TV. 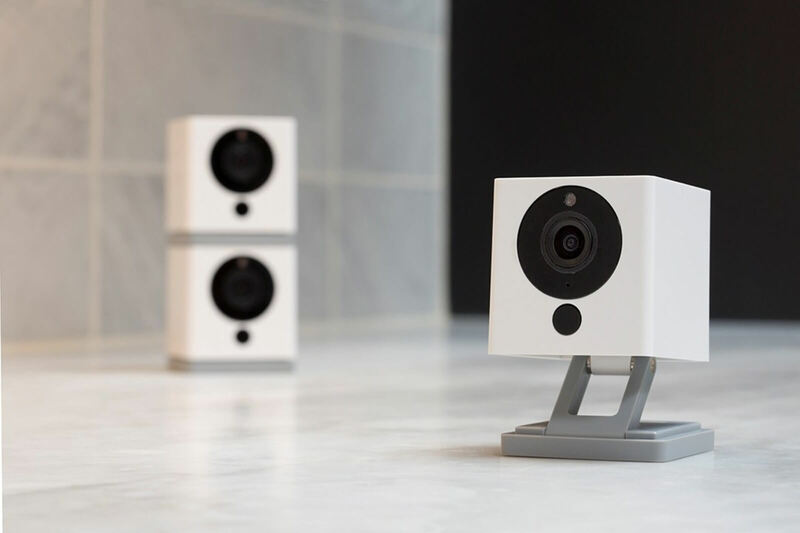 Whether these same features will also arrive on the original model is unclear, but the company says it will continue to support and enhance the first Wyze Cam through app and firmware updates. The Wyzecam v2 is available to pre-order now and is expected to ship by the end of this month.